You are here: Home / Blog / Green Building / Resilient Design / Passivehaus or Passive House? 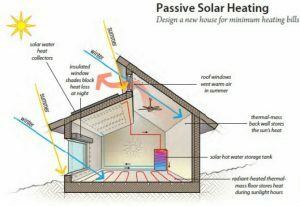 What is a passive house? What is the difference between the two certification standards Passivhaus vs Passive House? What exactly makes a building “passive”? 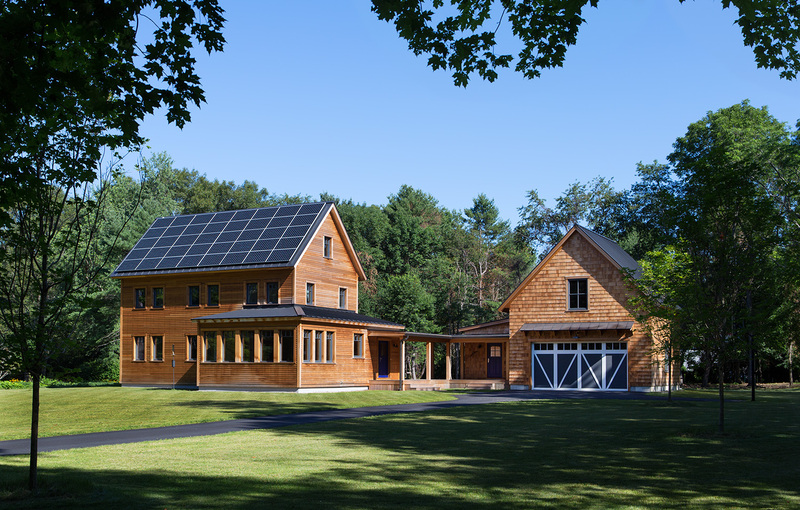 First off, a Passive House does not necessarily mean a building is a “house” per se. Most certified Passive Houses at this point are residential, though Passive House Certification is available for other building types and passive building techniques are used in many energy efficient buildings today regardless if they are pursuing certification. Many passive homes look very similar to typical homes, with commonalities in design based on passive design strategies (see below). If you love the idea of passive design as much as I do, you’ll want to check out Earthships as well. 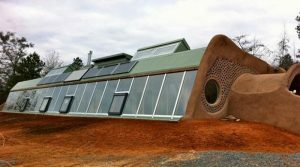 Earthships are an extreme example of passive solar design and probably won’t work for every location, but they are pretty cool! They combine the use of rammed earth (massing), south facing glazing (orientation and passive heating) with natural ventilation and lighting. Passive buildings have been around for ages, since the beginning of human survival instincts we have sought out the most comfortable and economical structures as our shelter. For instance, caves and mud huts are “passive” structures as they maintain a comfortable standard temperature throughout the year, that stay warmer in the winter and cooler in the summer than outdoor temperatures. Passive buildings operate on the same principles. 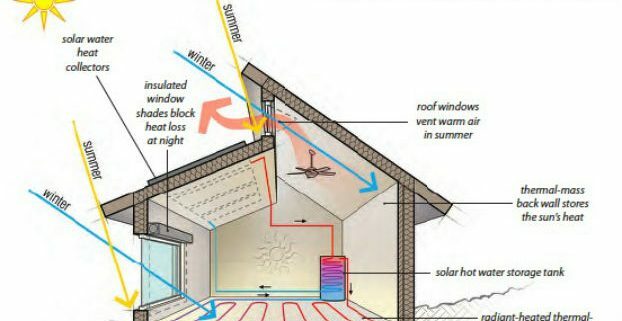 To design a passive building, you want to utilize passive strategies to reduce the need for mechanical heating and cooling to maintain comfort. 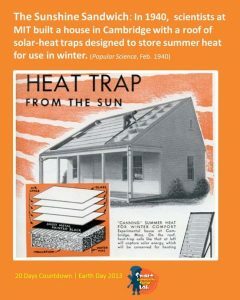 The original certification program often used the idea of heating a home with the energy of a hair dryer to give a clear idea of what a passive building was trying to achieve. The Passive House Certification originated as “Passivhaus” in Germany, in the 1990’s as a way to reduce the amount of energy consumed by a building through maximizing passive design strategies. Modern day passive style homes were built in the United Stares as far back as the 1940’s and with a large resurgence in the 1970’s and now today. Through understan ding the changes in temperature throughout the year and setting strict guidelines for energy use, the founders of Passivhaus came up with limits to building energy used based on the climate in Germany. Building Orientation – orienting the building and living spaces in an ideal alignment with the sun, will drive the energy use of the building. Based on latitude and how the sun hits the building, in combination with the building’s massing can greatly impact how interior temperatures are maintained. Building Massing – the size, shape and material of a building can have a huge impact on how energy is transferred, stored, and held within the space. Similar to the original cave and mud hut idea, creating a specific mass or shape of the building can either minimize or maximize energy conservation measures. Depending on the climate and design, proper orientation and massing alone can help to maintain a constant indoor temperature with little need for additional heating and cooling. Passive Cooling – Natural Ventilation, air cooling and shading can greatly reduce the need for mechanical cooling. Opening windows on cool nights, can not only help to reduce the interior temperatures but also brings in fresh air directly to the living space. The use of evaporative and geothermal cooling strategies can also help with keeping the building comfortable. Solar shading can be used in addition to other passive cooling techniques to minimize solar radiation and glare throughout the summer. One natural example that is often used is the termite mound. Termite mounds are found in very hot climates, however , because of their design that uses passive cooling through natural ventilation and the stack effect, they maintain a cool interior temperature so the insects don’t overheat. 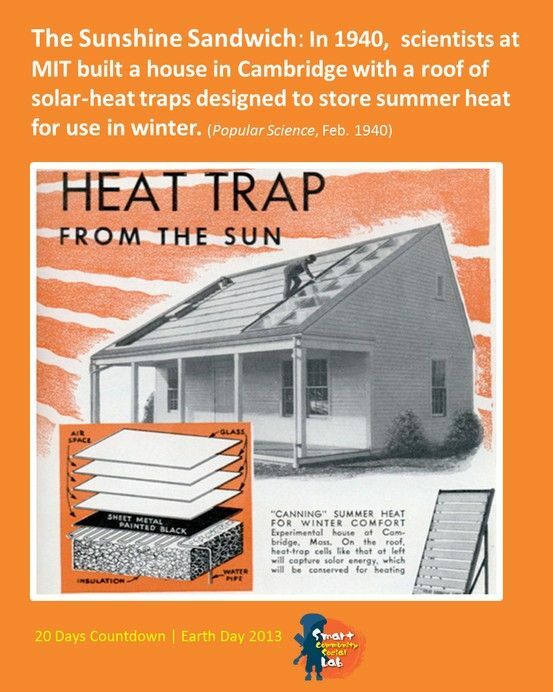 This is both a massing and passive cooling technique that translates well to human dwellings. Lighting/Daylighting – Not only is natural light free, but it’s preferable. Unless there is too much direct sunlight causing glare, most people typically prefere natural light to artificial light. Through proper placement of windows and the orientation of the building, you can maximize the building’s ability to capture natural light and minimize the need for artificial light. Design Program – How are the spaces laid out within the building? Where will occupants spend the most time? Where are the best views? With proper layout of the rooms, spaces that are used most often can take advantage of daylighting, passive heating/cooling, massing and orientation. Typically living rooms, kitchens and other gathering spaces are better placed on areas with desireable views and/or the south side of the building to take advantage of passive strategies directly. Bathrooms, mechanical rooms, laundry etc. 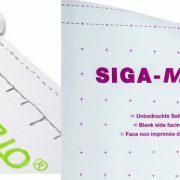 can be put on the northern side where there is typically less light. Up until recently even new buildings leaked quite a lot of air. This was a benefit because it consistently brought in fresh air into the home, however it was a major waste of energy as much of the tempered air was lost through leaks and there was no real way to control air except through exhaust fans in bathrooms and kitchens. 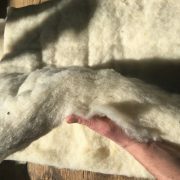 PassiveHouse certification and passive building design, require very an airtight building envelope, which limits uncontrolled leaking, and allows for a level of ACH (air changes per hour) for healthy indoor air quality. Since passive buildings don’t leak the way older buildings do, designers typically use HRVs (heat recovery ventilators) or ERVs (Energy Recovery Ventilators) to pull in fresh air and recycle some of the heat of the exhaust air. These systems are a very efficient technology that allows us to better control the airflow between the inside and outside. Ok, so you want to build a Passive House. But What is the difference between Passivhaus vs Passive House? Passivhaus: (PHI)is the original German standard created in the 1990’s, that uses fixed parameters for energy demand for heating and cooling. 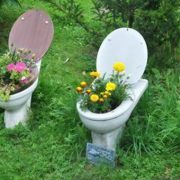 Passive House or PHIUS – Passive House Institute United States, is based off the German Standard, and was originally the US branch of PHI, however in 2011 the two organizations parted ways. Where the German standard has fixed requirements, PHIUS allows for varying energy demand allowances for heating and cooling based on local climate data. For instance, a home in Boston, Massachusetts would have different requirements than the same home build in Miami, Florida. In Germany, the country is fairly limited in climate variation, as compared with the United States where climate varies greatly, thus the need for variable heating and cooling allowances. So there are many ways to build a “passive” house, whether it is certified or not will depend on how strictly you want to stick to meeting the performance targets and what type of design you are interested in. I would always recommend going for certification as you get added benefits of hygrothermal analysis and more attention paid to thermal bridges in the envelope. So where should you start? If you are in the United States, you’ll want to look into contacting a local CPHC (Certified Passive House Consultant) to help you get stared. PHIUS is really the best program for US projects, though there still are projects going ahead with the German standard. You’ll also need a Passive House Rater to perform the on-site performance testing. You can the integrate passive strategies into the design through working with your architect and CPHC to meet both the aesthetic and passive house requirements. You can email me directly ian@signaturesustainability.com for questions and consulting on Passive House projects. 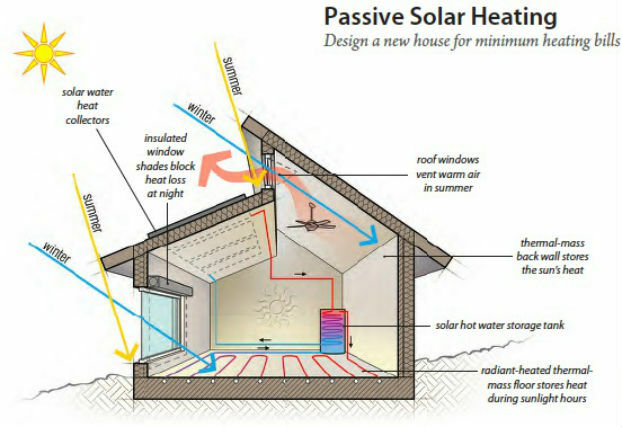 https://signaturesustainability.com/wpinhere/wp-content/uploads/2017/09/passive-solar-heating.jpg 427 622 Ian Johnson https://signaturesustainability.com/wpinhere/wp-content/uploads/2015/08/signature-sustainability-logo.png Ian Johnson2017-09-08 14:03:222017-09-08 14:13:03Passivehaus or Passive House?